Why Aren't Your Employees Participating in All Your Fringe Benefits? There’s more to compensation than wages and salary. But navigating the world of benefits and other employee perks can be daunting. When a new employee initially joins an organization, chances are their focus is mostly on getting up to speed on their role, rather than obtaining benefits. “How much for medical? How much for dental? Ok sounds good.” — your employee, probably. If your human resources department has spent time and effort cultivating an impressive total rewards package, you won’t want your employees to skip out on any of the goods you have to offer. Lack of awareness and participation is more common for unconventional benefits — such as wellness, employee assistance and telemedicine programs. Since these programs can save your company money, it’s a shame when not all employees participate. And there is one simple reason for this: ineffective benefits communication. In most corporations, benefits departments are typically separate teams from their communications departments. But according to research, maybe benefits departments ought to start acting a bit more like communication managers. 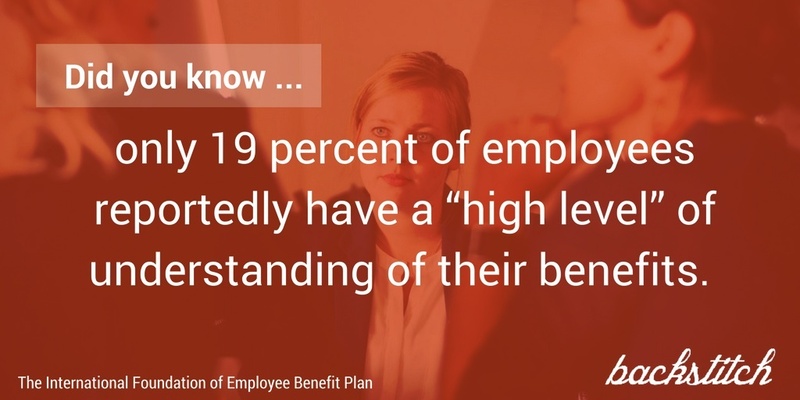 According to a study by the International Foundation of Employee Benefit Plan, only 19 percent of employers report that their employees have a “high level” of understanding of their benefits. In addition, approximately 50 percent employees don’t understand employee benefit materials — with more than 80 percent of employees not even reading benefits collateral in its entirety. This lack of communication can have a hefty impact on employees. For example, 54 percent of human resource professionals say their company offers flextime, while only 44 percent of employees say their company provides this benefit, according to a 2016 Employee Benefits Research Report by SHRM. This same report also showed discrepancies between what HR departments and employees said about 401(k) retirement plan and employee assistance, demonstrating that ignorance of benefits is a widespread problem. For each benefit listed, HR departments were significantly more likely to say a perk was offered than employees — further illustrating the lack of awareness. Why wouldn’t employees take the time to read and understand their benefits material? Especially if the employee perks have the potential to add value to their lives? Well, communication is a two way street. One reason might be your communication channel of choice. Are you explaining company benefits face to face, via email, or are you sending them a “Benefits Guide” that gets lost in the mailbox or the junk drawer? The way you communicate benefits needs to be intentional, comprehensive and personalized with your employees in mind. Another important communication factor is your tone of voice. Are you communicating in a dynamic, expressive way? Are you carefully targeting your messaging so that you know it’s being sent to the right people? Lastly, make sure that you are sharing benefit information year round — not just during open enrollment. Benefit awareness is just the first step. If you truly care about your employees —and getting the most bang for your buck — benefits teams should intentionally communicate to ensure proper utilization. Very few employees go to the dentist or the doctor during open enrollment. In fact, it might be three or four months down the road before they decide to utilize their benefits package. By that point, they might not be able to easily recall or reference their benefits information. As an employer, the last thing you want is for your employee to be sitting at the doctor’s office wondering about copay rates, what’s covered and what’s not. Add in a spouse or dependents, and this can get even more confusing to convey. 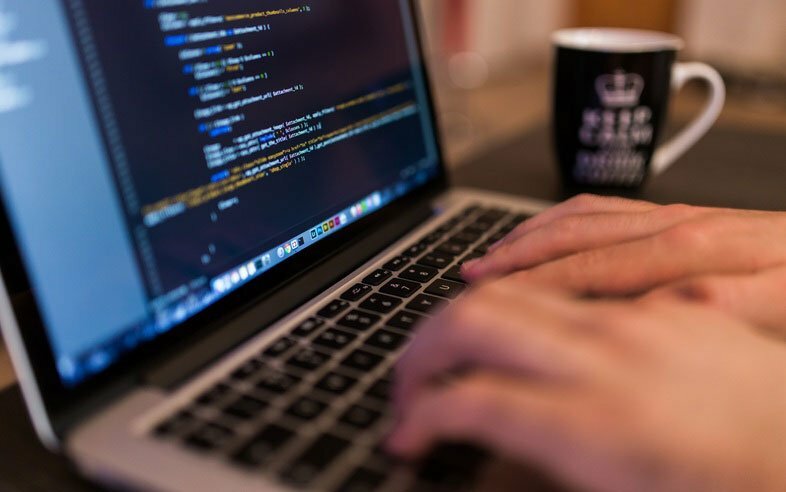 To mitigate this, employee app and benefits communications technology services, such as backstitch, can personalize benefits information and offer resources — clearing things up for the employee and their whole family.